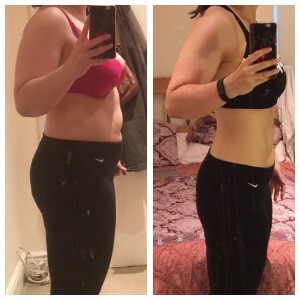 After a failed 2015 journey into fitness. I was heaviest and unhappiest I’d ever been entering 2016. I was miserable, and something needed to change. I decided it wasn’t worth wasting anymore hard earned cash on an approach that wasn’t working, so I took to google and did some research. The winner came when I searched “personal trainers in SW London”. That was where I found Jack Green Fitness. It took a bit of courage to get in touch but we set up a trial. I actually cancelled my first one as I bottled it. (Sorry Jack). But went to the second, and rest is history. My story is classic to be honest, always was shy, lacked self-esteem, confidence and self-belief. Never thought I was good enough and had on an on-going battle with anxiety and depression that dates back well into my teenage years. Though I had always been sporty growing up and knew it was good for me, all those factors meant that when I hit my 20’s, I just spent a decade trying to blend into background and not be noticed. Also, I am an emotional eater and my weight has always fluctuated quite significantly. Have tried EVERY ridiculous diet under the sun. But surprise surprise nothing ever worked. I was an A grade Yo-Yo dieter and exerciser. I decided to play the long game, I committed, and I met a trainer that was honest and didn’t put up with the negative ‘can’t do’ side of my personality and who believed in me, when I didn’t. Saying I couldn’t do it wasn’t an acceptable answer (and still isn’t!). The other most important lesson that Jack and Catherine taught me was, not making weight loss the only goal/focus. And now as I reflect on last year from 2017, I can honestly say I am happiest and healthiest I’ve been for over a decade. So how did I lose 3 stone and get fitter? Diet. 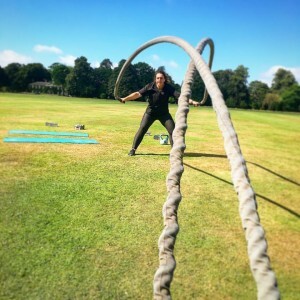 Personal Training and the highly addictive Bootcamp21 sessions. Not to forget a ridiculous amount of motivation and support from Jack Green Fitness and all the Bootcamp21 members. It’s a group of people that never judge and always encourage. Everyone has a place there regardless of age, gender or fitness. These days I worry more about not being able to attend sessions and I’m not the only member to feel like that! Also, being able to train in the beautiful Marble Hill Park, where else would you want to make the ‘fat cry’. You want it, then you must be CONSISTENT. That goes for food and exercise. Surround yourself with right people. You don’t have to do it alone. It’s important. One I still am learning. Find something you love, and don’t be afraid to go the whole hog. It never stops, it’s a lifestyle therefore it is on-going, and must be maintainable and adaptable. I’ve still got some weight loss goals to achieve (2 stone), but I hope to be in a position at some point this year that weight loss won’t be the goal anymore but learning the lesson of maintenance instead. A fitness goal of mine is to run a half marathon and do an unassisted pull-up, but have many more like do a handstand, improve my flexibility, beat my deadlift PB etc. The list is endless!